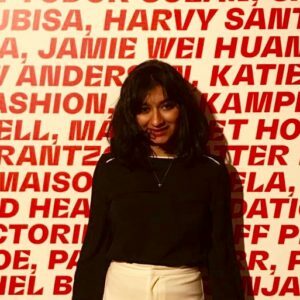 To mark International Women’s Day and 100 years since some women got the vote in the UK, former Foyle Young Poet Ankita Saxena is challenging you to make yourself heard! 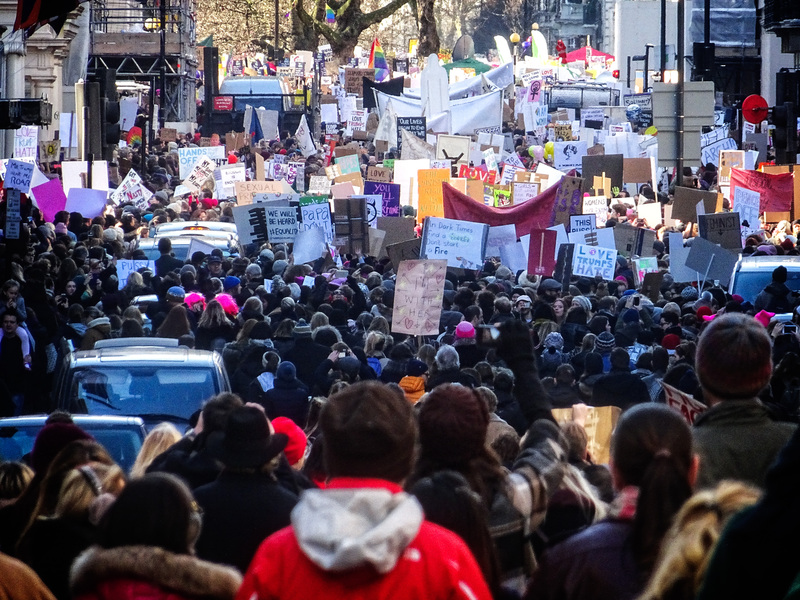 We want you to write protest poems using a classic device of both poetry and protest: repetition. A suffragette meeting in Caxton Hall, Manchester, England circa 1908. Emmeline Pethick-Lawrence and Emmeline Pankhurst stand in the centre of the platform. Photo credit: New York Times archive via Wikimedia Commons. In 1908, two early suffragettes interrupted a House of Commons meeting, chaining themselves to the metal grille that blocked the Ladies’ Gallery from view and shouting, ‘Votes for Women!’ The Times newspaper dismissed the whole affair as a ‘shrill vociferation of … women’ which ‘did not interrupt the proceedings of the House…’. But the reality was: women had made themselves visible and audible, forcing their way into the political sphere. Ten years later, in February 1918, what began as a slogan turned into a political reality: with the Representation of the People Act many women got the vote. Not all women, of course – only the 40% who were university-educated and owned property. But it was still the first major victory for the campaign. Sometimes, it takes years of saying the same thing over and over again for the world to listen. We are not destroying Orchid Houses, breaking windows, cutting telegraph wires, injuring golf greens, in order to win the approval of the people who were attacked […] We don’t intend that you should be pleased. In celebration and in memory of these radical women who fought for our political right to be seen and heard, we’re asking you to write poems that reject the impulse of winning approval. Don’t write what you think the world wants to hear. Write what you think the world needs to hear. We will be exploring how you can use the tool of repetition to help write protest poems. Recently, the British poet Katrina Naomi published a book Hooligans (2015), dedicated to her great-grandmother, who she discovered was involved with the Women’s Social and Political Union. The book begins with an eight-line poem called ‘Taking on the Nineteenth Century’, written in response to a proverb of the time: ‘The women, the cat and the chimney should never leave the house’. Naomi deconstructs this proverb by seriously exploring the relation between chimneys and women through the poetic device anaphora. This device involves repeating the same words or phrases at the beginning of each phrase or sentence. Naomi begins every couplet with ‘A chimney can’ or ‘A chimney may’. By looking at the different facets of the chimney, Naomi is actually exploring womanhood and the range of protest methods used by suffragettes. 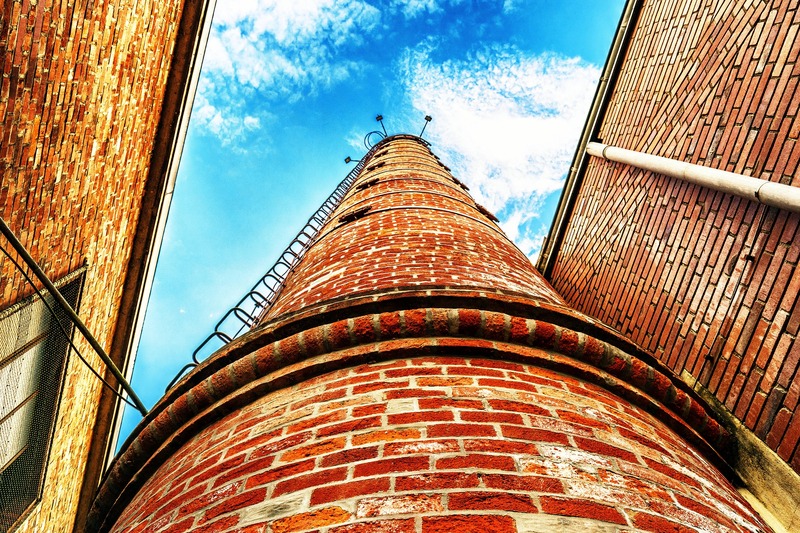 Naomi describes a chimney that ‘belch[es] forth its own message’ like those women who made themselves heard in the House of Commons meeting in 1908. She also writes about a chimney that ‘may block itself, refuse to breathe out’, representing other suffragettes who protested through acts of disobedience, like the Indian princess Sophia Duleep Singh. Naomi ends the poem comparing a chimney to ‘a celebrated arsonist’: ‘even a chimney / will delight in bringing your house down.’ This points towards suffragettes like Pankhurst whose violent and radical forms of protests ultimately helped women get the vote. The line also pays a tribute to the writer and activist Audre Lorde’s famous quotation: ‘the master’s tools will never dismantle the master’s house’. Can you think of different ways a single object, piece of furniture or structure might stand for a movement? How could you use anaphora in your poems to unpick these different aspects? Angelou uses the line ‘I shall not be moved’ as a recurring anchor for her message of defiance. Though the poem is rooted in a specific environment and struggle – the US civil rights movement –the underlying message of strength in the face of derision resonates with women across space and time. Could you think of a phrase of resistance like ‘Still I rise’ or ‘I shall not be moved’? How can you play with the images and associations thrown up by repetition? Repetition has also been used more directly in female protests. At the 2017 Women’s March, when people from all seven continents took to the streets to campaign against continued injustices against women, actress Ashley Judd recited a spoken word piece ‘I am a nasty woman’ written by nineteen-year-old Nina Donovan. The inspiration for the poem came when Donald Trump called Hillary Clinton a ‘nasty woman’ during a political debate ahead of the presidential election. Donovan repeats and reclaims this phrase, and ultimately turns it on its head. Watch the poem now. She proclaims she is ‘nasty like Susan, Elizabeth, Eleanor, Amelia, Rosa, Gloria, Condoleezza, Sonia, Malala, Michelle, Hillary’ and ‘nasty’ like ‘the battles my grandmothers fought to get me into that voting booth’. When Trump hurled it at his political rival, ‘nasty’ was a cheap insult; Donovan turns it into a word of empowerment. During the march, thousands of women joined in with this protest, calling themselves ‘nasty women’. 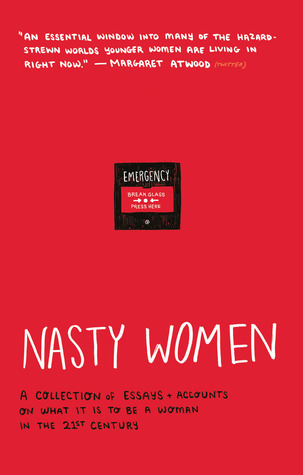 Later in 2017, a British anthology of essays, interviews and poems exploring the intersectional experiences of being a woman in the twenty-first century was titled Nasty Women. Are there any phrases or words like ‘nasty’ that have been used against you or people from your communities, that you could make your own? Which words could you focus on and repeat in your poem? Meanwhile, in Meena Kandasamy’s poem ‘Once my silence had you spellbound’, the very act of writing becomes a form of protest. Read the poem and pay attention to how Kandasamy locates repetition inside lines and stanzas rather than at the beginnings and ends of them. In the first few lines, Kandasmy finds numerous ways to repeat the simple word ‘enough’. She claims her suffering is ‘not theoretical enough’. She has also had ‘enough’ of people telling her this. This culminates in the highly charged ‘enough. Enough. Enough.’ The very act of repeating this everyday word over and over turns the poem from one of contemplation to one of protest. The repetition of ‘enough’ also reminds us that women have been saying ‘enough’ for years. 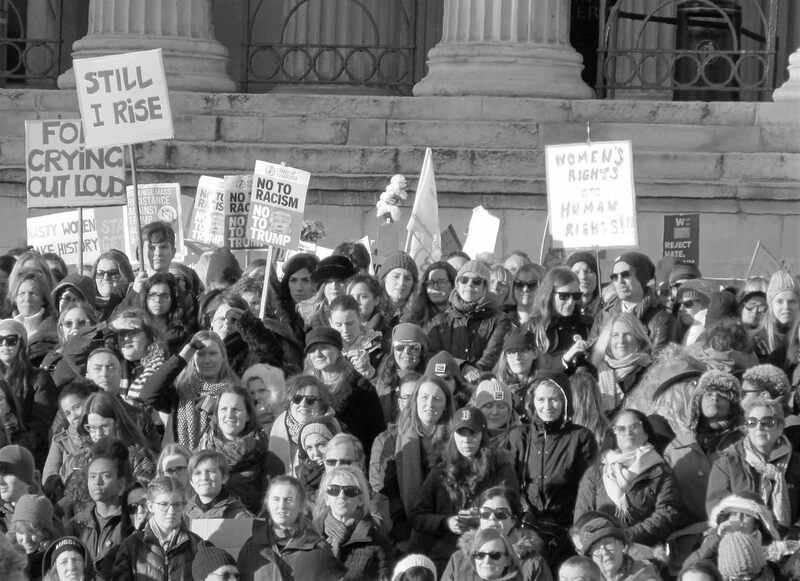 This year marks 100 years since the Representation of the People Act, but women are still marching for equal rights. Kandasmy’s repetition of ‘enough’ represents a long-held frustration felt by many women across the world. Look at the next stanza. Kandasamy’s speaker says she is now able to ‘use’, ‘misuse’ and ‘refuse’ language: verbs which all contain the same root and gesture towards different forms of verbal empowerment. Through repetition, Kandasamy shows how taking control of language is the first step towards taking control of your story. Repetition can give to poetry what a single slogan, like ‘Votes for Women’ can give to a political movement: urgency, momentum and volume. But as you can see there is not only one way to repeat something. Read these poems again and try and mimic the ways in which these poets have used repetition. Which form of repetition speaks to you? The suffragettes were inventive and radical with their acts of resistance and so are these extraordinary female writers. Repetition allows them to introduce original uses of words, phrases and lines into circulation and hand them down to their successors. These are ‘nasty women’, who have had ‘enough’ and who are able to ‘refuse’. 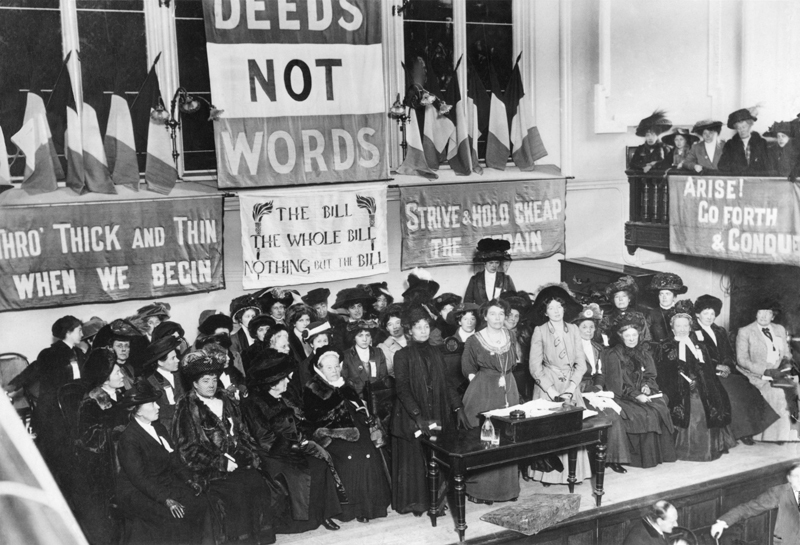 To celebrate the hundredth anniversary of the first bill giving women the vote in Britain, we want your poems of protest. We want poems that are loud, bold and beautiful, that incorporate some form of repetition, be it anaphora, a refrain line, or an individual word twisted and tested to its limits. The suffragettes were so inspiring because they rejected the silence that was expected of them. Generations of female writers from Angelou to Kandasamy have done the same. Now, we want you to add your voice to the mix. We want you to shout as loudly as they did, about the injustices that feel necessary to you. Tell your stories. Demand attention. Make yourself heard. Most importantly, don’t be afraid to repeat yourself. Winning poets will have their poems published on Young Poets Network and receive an exclusive Young Poets Network notebook, as well as other poetry goodies. This challenge is now closed. Thank you to everyone who entered! We will respond to all entrants as soon as the judges have made a decision. This challenge was open to all poets up to the age of 25, based anywhere in the world. You can send a poem written down, or a performance poem as a video or as an audio file. Send as many poems as you like. The deadline for all entries was midnight, Sunday 6 May 2018. Send your poems to educationadmin@poetrysociety.org.uk with your name, date of birth/age, gender, and the county (or, if you’re not from the UK, the country), you live in and the subject line ‘Suffrage challenge’. If you would like us to add you to the Young Poets Network mailing list, keeping you up-to-date with all our opportunities for young poets, please include ‘add me to the mailing list’ in the body of the email. By entering, you give permission for Young Poets Network and The Poetry Society to reproduce your poem in print and online in perpetuity, though copyright remains with you. Do note that you reserve the right to refuse to give information about you as an entrant, and any information you do give will not affect your chances of winning. If you would like us to confirm that we’ve received your entry, include ‘confirm receipt’ in the subject line of your email. Is it possible to enter a poem under a pseudonym or pen name, rather than my actual name? Thanks for your comment. If you were a winner in this challenge, we would be happy to publish your poem under a pen name, however we would need your real name and details (age etc.) to consider your submission. Your name will be kept completely private until and unless you consent for us to make it public. I hope that makes sense, and I hope you do submit a poem! Hi, when will the winners be announced? Thanks for your message, and for your interest in this YPN challenge. The entries are with Ankita Saxena, the judge, and we will be back in touch with all entrants as soon as she has made her decisions. There were lots of entries and we want to make sure she has enough time to read each poem carefully.